The WORCESTER PARK Blog :: Fancy Some Squash? If you're partial to a little squash then keep next Friday (25th July) free as there is a special exhibition match on at New Malden Squash Club. 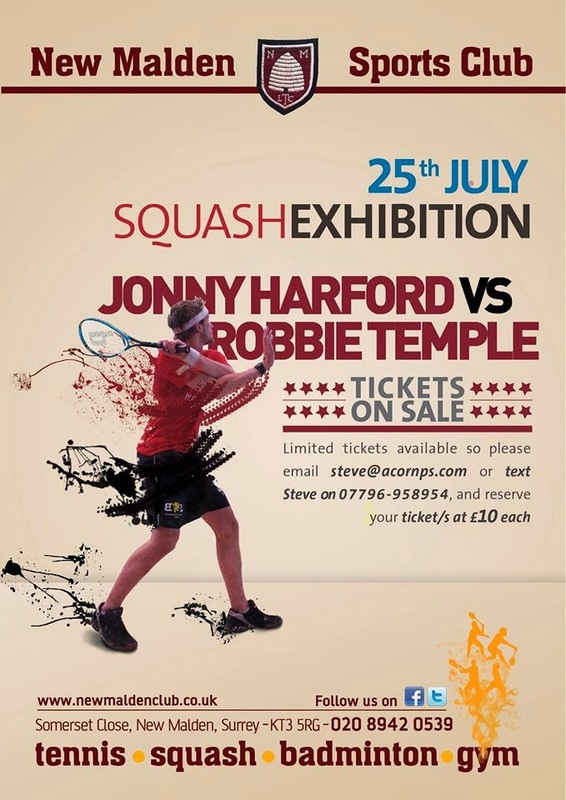 Robbie Temple and Jonny Harford, both ranked in the world top 50 players will be playing competitive squash at the club which is more or less right on our doorstep. The New Malden club is just off the A3 roundabout on the Worcester Park side. The evening will be to raise money for the renovations of Courts at the club which are badly in need of repair. Tickets are just £10 each and you can contact Steve to reserve yours: steve@acornps.com or on 07796 058 954. This will be a fantastic evening watching two world class players doing what the do best and helping raise money for the club at the same time.